Jooeun bursts through the doors of the hotel Youngho, Joonsung and Jiwoong are staying at, remembering her epic fall the last time she was there and remembering what her friend said on losing weight because you’re lonely or sad or both. 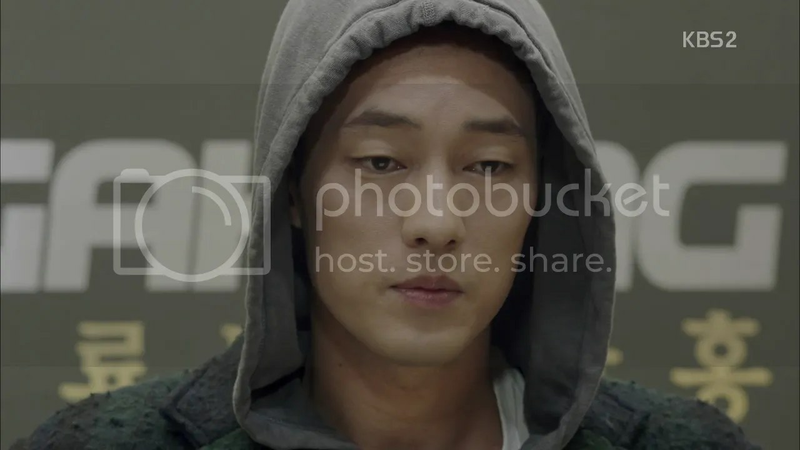 The scene plays out as it did at the end of last week’s episode with Youngho saying that she has indeed found John Kim. and then complains that she licked his head. He’s all “I know why you’re here” and gives her a once over but she’s more interested in chasing after “John Kim” aka Jiwoong. 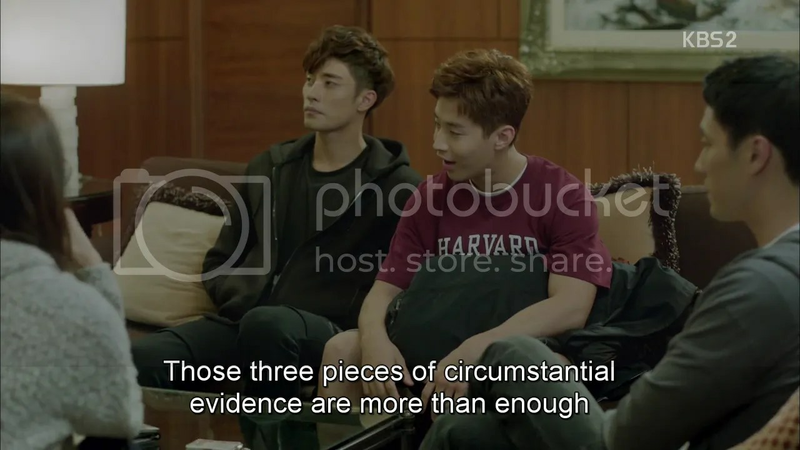 She essentially points out all the ‘evidence’ that proves that Jiwoong is John Kim (His accent, him mentioning The Stella Show, his job as a trainer, his ID) before mentioning that Hyunwoo’s ex runs a popular celebrity news show. She calls it a heartfelt plea when Youngho asks if she’s trying to threaten them, before admitting that yeah, she is essentially threatening them. 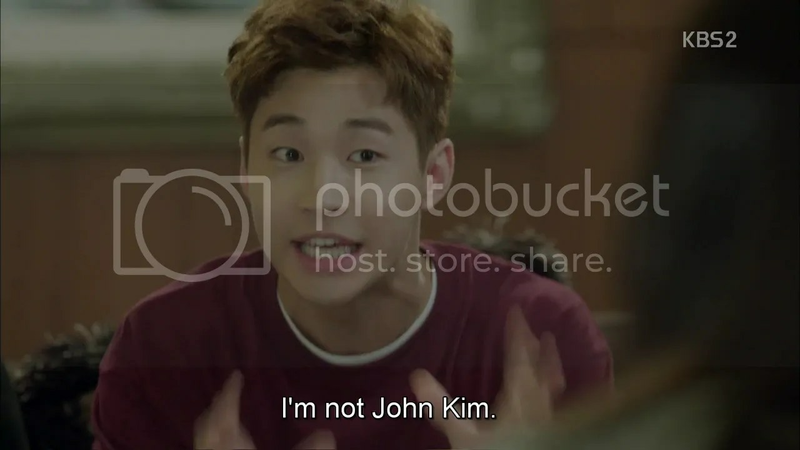 Jiwoong tells her that he isn’t John Kim (in English) which she either doesn’t understand or believe. He gets dragged away by Joonsung and ends up sitting in the bathtub as punishment while Youngho and Joonsung try to figure a way out of the mess. Meanwhile Jooeun’s over the moon. She calls her mom (who thinks she’s eaten something weird) and gets busy imagining her post-weightloss self on the Stella Show, with Wooshik and Soojin watching her with shock and despair. Meanwhile Jiwoon’s force to assume Youngho’s identity. 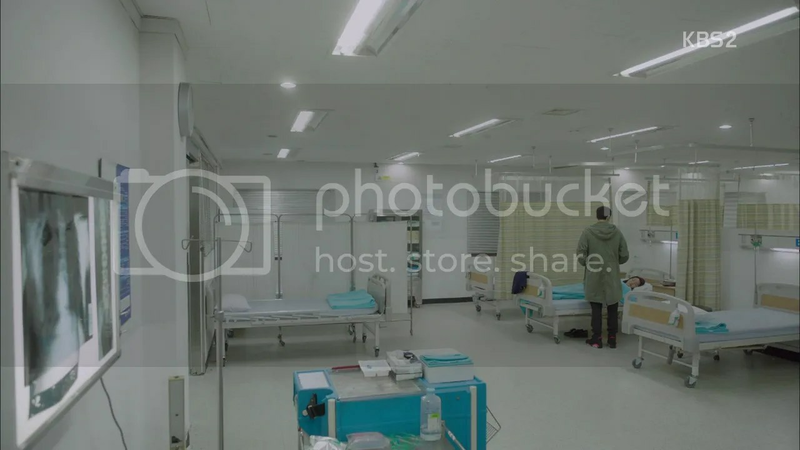 All three exit the bathroom and Youngho announces that he’s the team’s doctor. Jiwoon covers up for his previous slips by pretending that he confuses English with Korean at times. Jooeun starts waxing poetic about what a beautiful night it is and Hyunwoo realizes she’s in a good mood and mutters that she scared her. Jooeun shakes hands with a flower, deciding to work hard. Youngho’s at the gym training Joonsung the next day while Jiwoong’s his usual bubbly self, bringing smoothies (which are an appalling shade of green) over after their match. Youngho gets a call from Chief Min who tells him that his stuff is being moved over to the villa and all he has to do is bring himself there. Youngho looks weary at the thought. Jooeun reports for work and asks for only a single sugar in her tea. Hyun Jung wonders if she’s not well but Jooeun says she’s simply full without having to eat. Jooeun casually asks if she’s heard of John Kim only to find that Hyun Jung’s a fan. She’s a little bashed saying that it’s probably weird to be a fan of someone who’s face you’ve never seen. 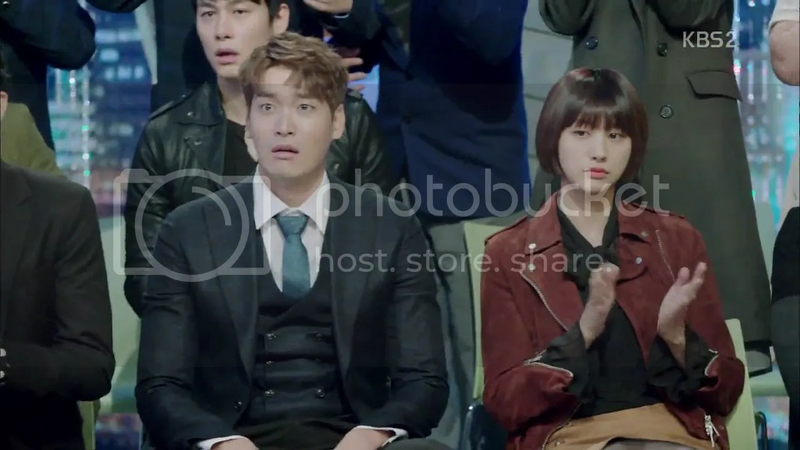 Jooeun gets really excited over that though, realizing that she’s one of the few people who know him. Hyun Jung wails that Soojin’s organic food mania will be the death of her. Right on cue we cut to Soojin getting an oil massage. The ladies comment on her naturally healthy skin. She pensively says that it isn’t naturally perfect. Wooshik surprises her at work and they flirt in the elevator before he escorts her to her car. He returns to the building and heads to the 11th floor. Youngho enters the opposite elevator in his usual duds and heads for the 12th floor, looking not happy at all. 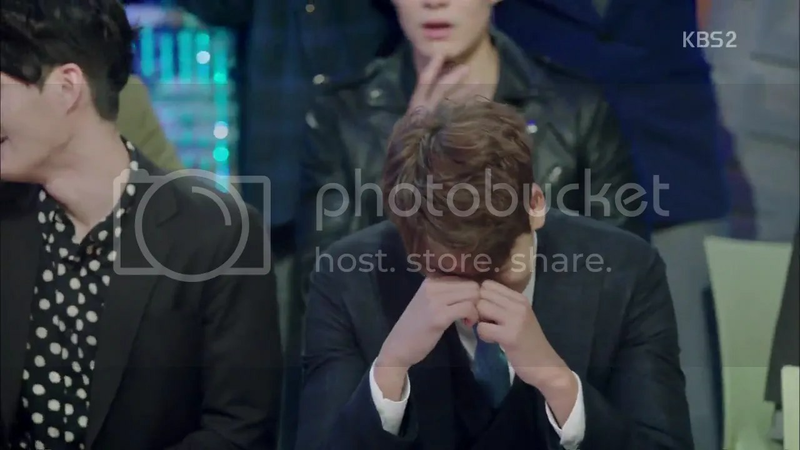 We flashback to Chief Min conveying to Youngho’s father that Chauffeur Jung and the previous director are dead. His father looks stricken and grim in that way only chaebol dads do, and says that he’ll inform Youngho’s great-grandmother. Youngho is not to be exposed to the world until he can kneel in front of his mother’s picture. Little Youngho knitting in a wheelchair overhears this and silently thinks “Mom, mom, mom” before the memory fades to black. He meets with his father and asks for his position in America back. His father says that only Great-grandma can do that, but Youngho knows that he has the power to do so as well. He notes both bitterly and wearily that his father isn’t even happy that he’s alive so they should just stay out of each other’s way. His father doesn’t show a bit of emotion and says that Youngho has to deal with what’s on his plate, seeinga s she was born with a silver spoon in his mouth but Youngho disagrees. He says that he’ll agree to an arranged marriage if another date is set up and leaves. He’s caught by Chief Min on the way out and tells him to convey to Great Grandma that she should pick her phone because he wants to see her. He shoots a finger heart at him again and a smile appears on the edges of stoic Chief Min’s lips. Youngho sits by a bridge and thinks and sits in his car and thinks again. Rodin should have used him as his model, seriously. He gets a call from Joonsung and Jiwoong who are checking out his new house (with Jiwoong having a real blast). It appears that this is where their new headquarters are going to be. Jiwoong’s fully into the role of John Kim and proceeds to wrap himself in a leopard print blanket and look far too cute and squishy. 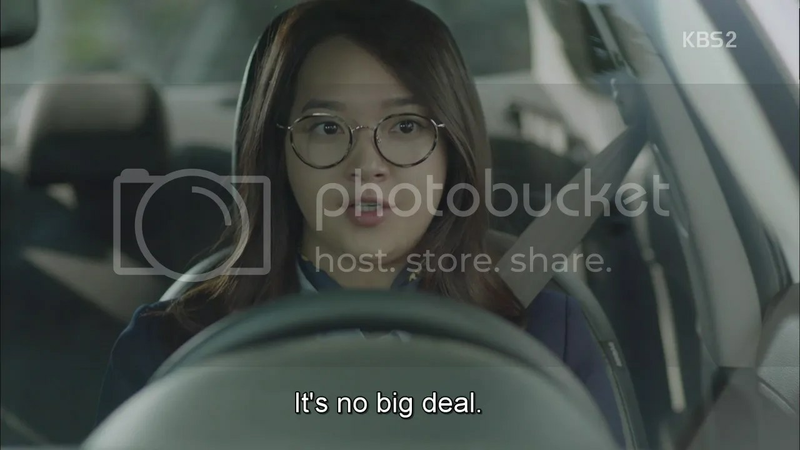 Jooeun’s not having a good day, seeing as some dunderhead’s parked right across her car so she can’t access it. Guess who? Soojin brattily makes a show of getting into her fancy car but fails at reversing out so badly that Jooeun kicks her out of the car and gets it out successfully herself. Don’t expect thanks from Soojin though. The team waits for Soojin to come over for training and she’s incredibly peppy when she does. She and Jiwoon are like two kids in a candy shop honestly. Turns out this is Youngho’s plan. Jooeun comes out in her gym wear, a bit self-conscious but certain that she’s going to lose weight so she struts her stuff. She hands her business card with a huge smile to everyone but Youngho and prepares to give her all. She happily works through some exercises with a just as happy Jiwoong only for Youngho to up the ante and get Joonsung to demonstrate what she has to do. What follows includes pushups, a strange mixture of downward dogs and cobra, some kettlebell lifting and leaves her stunned. Yeah that’s the face I usually had in gym class. 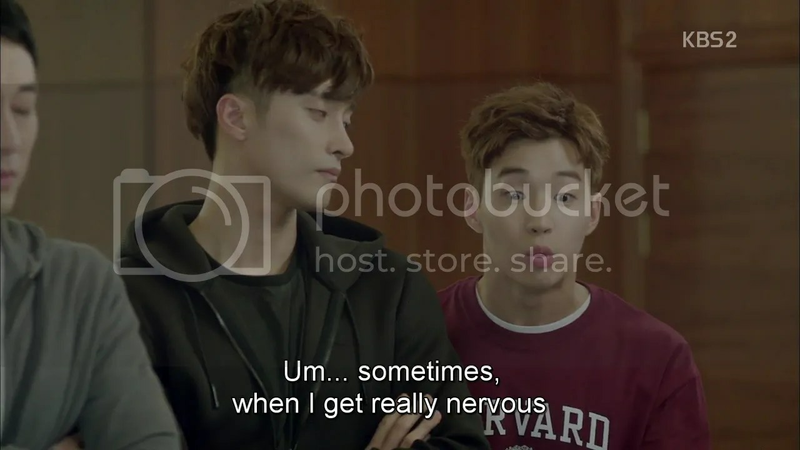 Hyunwoo who’s watching some documentary on athletes echoes my thoughts back in highschool. She’s worn out at the end of the workout. Youngho informs her that she can wash up before leaving if she wants and that ‘John Kim’ says he’ll see her tomorrow. He even adds Jiwoong’s characteristic ‘Ma’am’ at the end xD She’s worn out and wonders whether she should even have agreed to it before steeling herself to fight on. We are treated to the dubious pleasure of watching Wooshil swim. He’s soon joined by Soojin’s who’s clearly more interested in showing off her figure in a bathing suit than swimming. She mentions not being able to swim and Wooshik mentions that he taught Jooeun before realizing that was a slip. She says this but playfully pushes him into the water saying that she’s still not cool with him bringing it up. Jooeun’s all sore but keeps fighting on thinking of that dream of being on the Stella Show. A training montage plays as Joonsung trains with Jooeun, hefting Jiwoon on his back as a weight. Youngho shoves her on when she stops and the team gift her with an enormous teddy bear that weighs the same as her body fat. She proceeds to pummel it and throw it about all day, even when ‘s dead tired, surprising Youngho. Meanwhile Wooshik and Soojin play Marco Polo and smooch. Ick. Unfortunately, despite all the effort she’s putting in, Jooeun’s weight isn’t changing one bit. Youngho notes that if she could have lost weight that easily, she’d have done it a while ago. He gets mildly irritated when Jiwoong replies to her texts with an ‘I Love You’ though. Jiwoong remembers that Joonsung and him have an interview the next day, which conveniently leave Youngho and Jooeun alone together for the next day’s training session. Jooeun’s ready to go for from the start, and Youngho gets her doing the same circuit she was on her first day. He receives a call from his blind date and tells Jooeun that he can’t cancel the date. 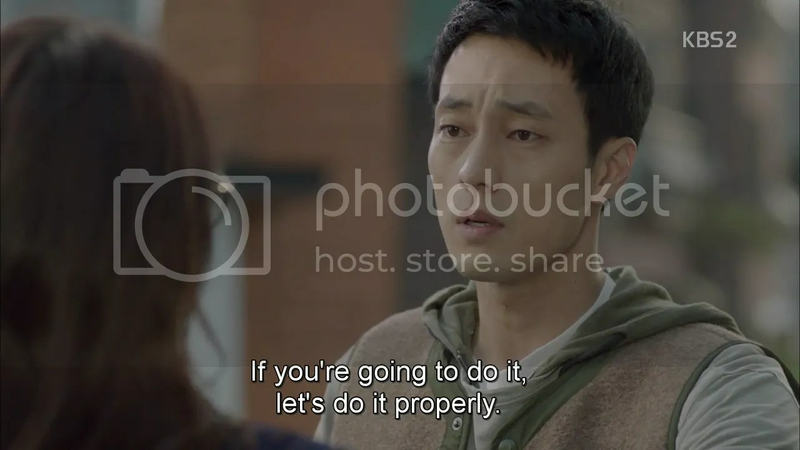 Jooeun tells him to just go ahead. She knows her way around and knows that the doors lock automatically. She mutters somewhat self-consciously that he doesn’t have to get late because of her involvement with John Kim. He leaves for the date. Meanwhile, Wooshik and Soojin watch What If (a somewhat fun romcom) and flirt some more at what looks like a crazy comfy theatre. Seriously, those seats though. Their sleazy time gets interrupted by a call from Jooeun’s mother who still doesn’t know of the break-up. Wooshik frantically calls Jooeun who didn’t inform her mother right away because she new she’d be devastated. 15 years is a long time to date someone. 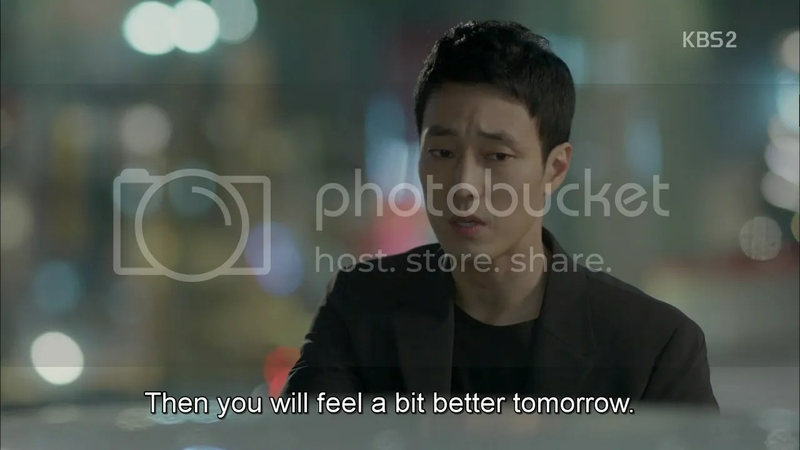 Wooshik asks Jooeun to come over and extricate him from the situation. He reluctantly heads to meet Jooeun’s mother, as luck would have it, in the same restaurant there Youngho’s at on his date. She drives her mother off, while he broods for the rest of the date and the drive home, remember how she clutched at him and asked him to take her somewhere off the planet. He returns to the gym to find her there, having exercised all that time. She’s at her limit now but keeping going forward. He watches her struggle to her feet, which sparks the following conversation. She really is at her limit though so he calls for a driver to take her home. He can’t resist more advice as he sends her off looking concerned. Joonsung show sup then for practice and notes that she’s dedicate but trails off, implying that nothing will change. Youngho doesn’t seem to think so anymore though and cancels training for the night much to Joonsung’s surprise. and exercises like hell to get his mind off things. Damn it, why couldn’t he have done that shirtless? Jooeun gets an unwelcome surprise the next day when Soojin essentially orders her to go on TV and do a section on copyright. Her first response is this. But Soojin comes up with excuse after excuse including stage fright and dumps it on her. Jooeun tells herself that she can do this. She texts ‘John Kim’ to let him know what she’s on TV today and therefore can’t make it. Jiwoong’s adorably saved her as “Our Ma’am” on his phone but Youngho reads the message and feigns nonchalance before heading off to turn on the TV. 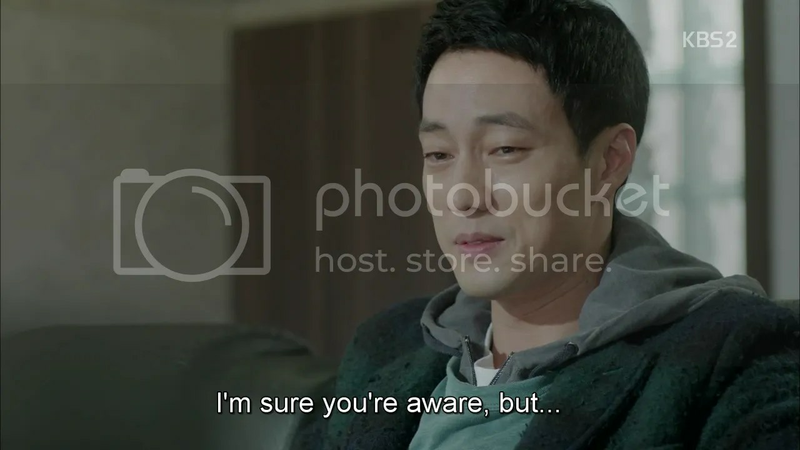 He sees Jooeun onscreen and notices the pallor of her face. Jooeun delivers her lines perfectly before collapsing. Youngho starts. Jooeun’s driven to a hospital. Soojin looks horrified and runs to her car. She calls Wooshikt o tell him what happened but he says he’ll call her back later. She looks torn and presumably doesn’t leave. Perhaps she thought he was already racing on his way there. Youngho sits by Jooeun’s side for hours having come without being called. and drives her home. They’ve the following conversation in the car. Youngho: This may be a useless question.Why do you want so desperately to lose weight? Jooeun: Gosh, that is indeed a useless question. You really say whatever you want to because I’m so below your league, huh. Youngho: You never know about that kind of thing. You’re addressing me very informally, you know. Jooeun: I’m so grateful to you. But you don’t ever let me thank you. Somehow, here we are again.Thank you and drive safely. 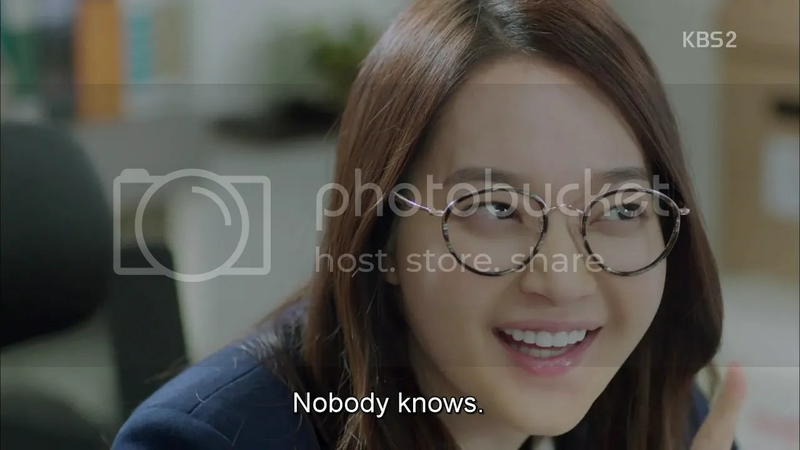 One key ingredient missing from the recap is Joo Eun’s stalker appearance. Initially with the Poinsetta plant that seems to glow and attracts your attention, in her apartment. His reappearance, again, when she is walking up the stairs to her apartment. Who is THIS guy and what’s his story… Can’t wait to find out. What a fantastic (quickly posted) recap. I’m really enjoying this show so far. 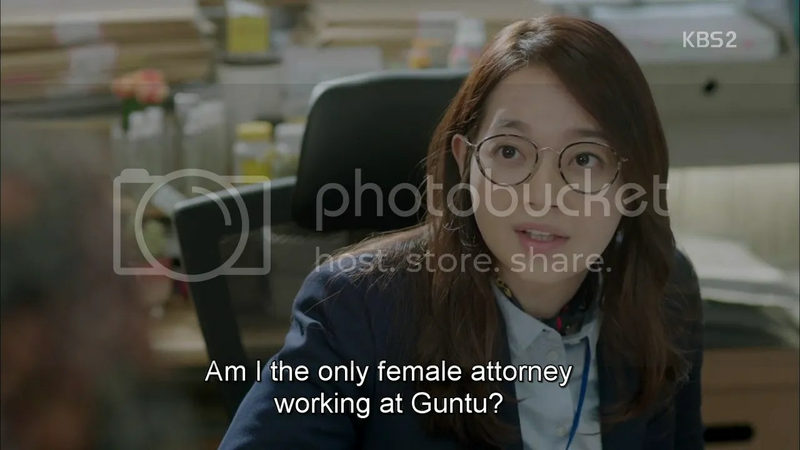 I do wish there was more tension with Jooeun’s character. I have no doubt that she’ll be thin again and get Youngho. Maybe she’ll get a tough law case soon. I’ll admit I have a soft spot for Soojin. She’s being a brat and she never should have cheated. Boo for all of that. But her struggle to be outwardly beautiful is so honestly portrayed. The endless food restrictions. The relentless beauty treatments. The fear that if your boyfriend sees you not looking “perfect” it’s all over. It’s tough to grow up “ugly” and to feel like you’ll never find love if you go back to that. 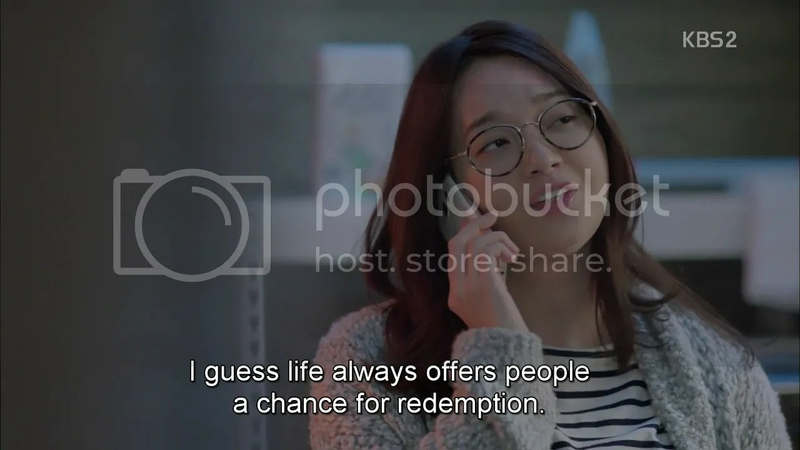 I hope she becomes a better person and she and Jooeun become friends again. Also, Joonsung/Sung Hoon has one beautiful face. I agree! There’s something about her vulnerability that I find myself strangely drawn to. I don’t agree with what she’s done, but I sort of feel for her. It’s a strange feeling. And Sung Hoon is ridiculously hot. Found him hot in Faith but he’s even better with short hair. A thing that really like is that the ex-boyfriend still deeply cares about her and her family (even if only considering them family after 15 years). It adds a nice three-dimensional touch.